Epoch Health Solutions, LLC (Epoch) is a health care revenue cycle consulting and compliance firm that provides the highest level of professional and personal service. 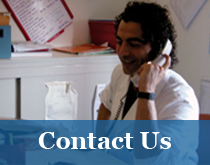 When you call our office you will speak directly to a partner—a professional with extensive experience in healthcare consulting. Not only do we answer the phone, but every job is staffed with our partners. Health care profit margins are becoming extremely slim. Health care providers large and small must identify and capitalize on every efficiency and in many cases rethink and restructure the current processes to maintain the bottom line. Epoch Partners are experts at identifying and closing gaps in your revenue cycle that allow reimbursement dollars to slip through. We answer the questions that keep you awake at night. Epoch can identify and resolve your issues by assessing and improving charging and billing operations, coding, documentation, compliance, and third party contract review and support. 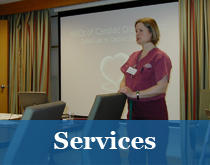 We specialize in Medicare, Medicaid and other third-party commercial payer reimbursement. Epoch will bring real and measurable results to your issues. Providing better healthcare through better business is our goal. Our Facility has utilized Epoch Health for quite a few years, I have found this company to have the expertise and experience in providing answers to any Healthcare question that I toss their way. We have used Epoch for Medicare and Medicaid rebilling projects for various scenarios with exceptional results. No matter what the question, we always receive a response, with the regulation/ruling attached for back up. Exceptional knowledge of Article 28 facility billing regulations. Each year we provide Epoch with our charge master (CDM) for a thorough review. Epoch provides detail of all changes, highlighting any CPT/HCPCS code that are invalid. Also providing suggestions of other changes that they feel will benefit us for a compliant charge master. 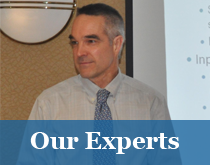 Epoch Health Solutions, LLC provides a variety of revenue cycle management support services. We have done business with them for a number of projects regarding billing/claims, coding/documentation, and charge master. Each project I am left feeling confident in the guidance they give and they work wonderfully with staff from all levels of the organization. I highly recommend them. © 2019 Epoch Health Solutions, LLC.